Things I miss about Christmas in Seattle: White Christmas lights on all the trees downtown. The Bon Star. The carousel at Westlake. The live piano music at Nordstroms. The Nutcracker by the Pacific Northwest Ballet. Having an order of Ivar's clams during a break in Christmas shopping. The way Christmas lights in the neighborhood looked on foggy nights. 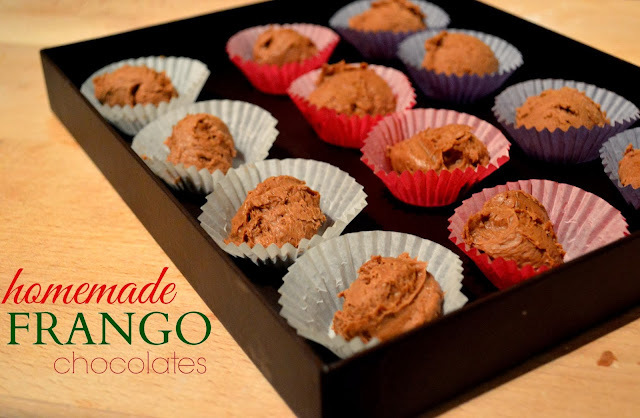 And Frango chocolates in the hexagonal boxes. Chicago area). When Frederick and Nelson's closed, the chocolates continued to be sold by the Bon Marche, and then later by Macy's. My grandma, at one point in her life, worked at Frederick and Nelson's. 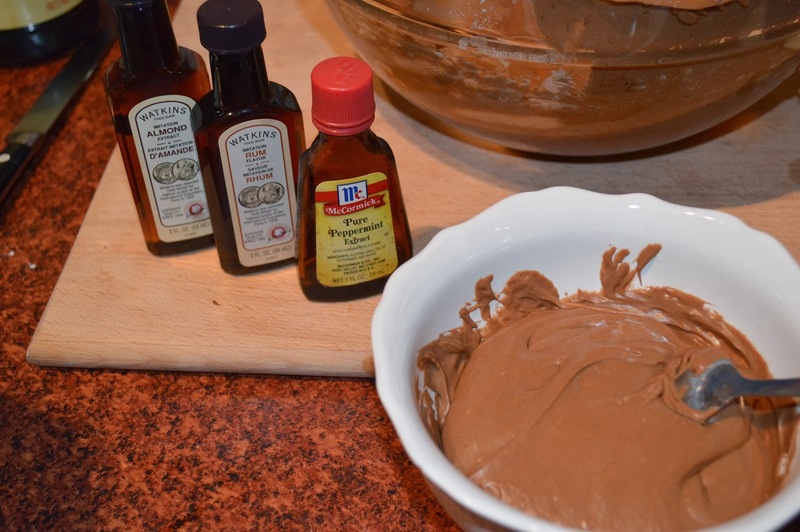 I can't confirm or deny whether this recipe originated at the store, or if grandma made it up, or if it was a "copycat" recipe that she adopted. 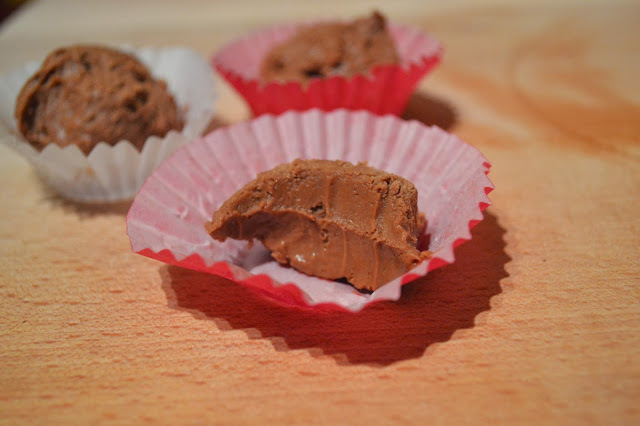 It is, however, a fact that these homemade versions regularly appeared on grandma's holiday cookie and candy trays. Now, if you are looking to fool people into thinking that these were purchased at the store, you're probably out of luck there. They are admittedly not quite so pretty and they are a little softer in texture than store-bought frangos. But they are just as delicious and you can flavor them however you'd like, by changing the extract flavor. Creamy, chocolately, minty (assuming you go for the classic mint flavor), melty rich goodness in a small mouthful of holiday joy. 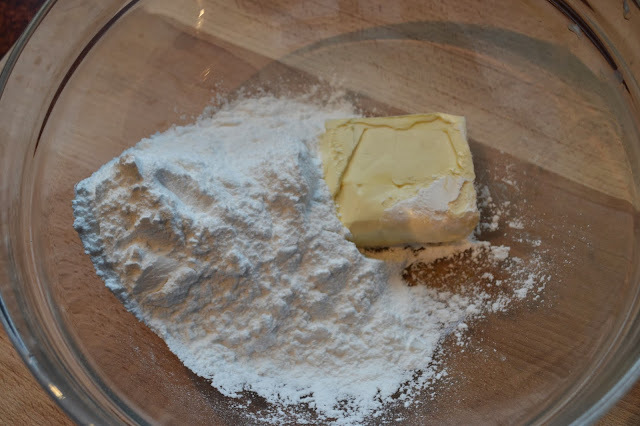 So first we take SOFTENED butter and some powdered sugar and throw them in a mixing bowl. Add two eggs and some vanilla extract and beat again. And you get something like this. 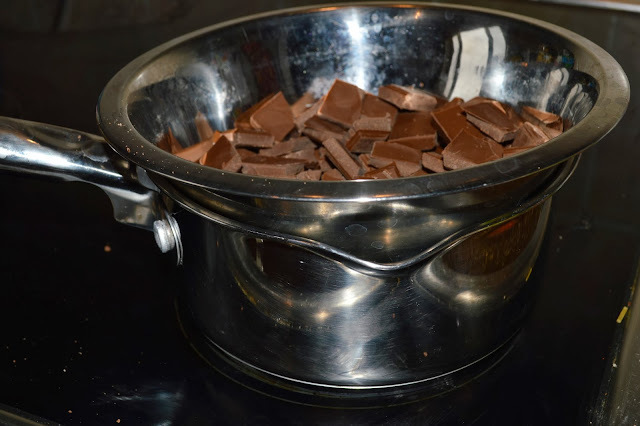 For the 99% of the population that doesn't own a double-boiler (myself included), rig yourself one by placing a metal or heat-proof glass bowl over a pot of simmering water. Make sure the bottom of the bowl doesn't actually touch the water. Put your chocolate chips (or broken-up chocolate bars) in there. 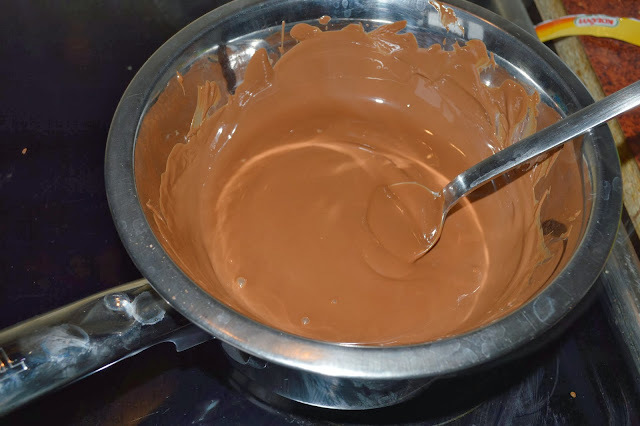 Keep that water simmering and keep stirring your chocolate until all little bits are melted, no chunks anywhere. Add the melted chocolate to the mixing bowl and beat again. So now you have a decision to make. What flavor Frangos do you want? (Or maybe more to the point, what flavors of extract do you happen to have lurking at the back of your spice rack?) The classic flavor is mint, but these are your holiday indulgences --- make them count. My grandma always divided the batter (is that what you call it when it's for chocolate candy? If not, then what?) 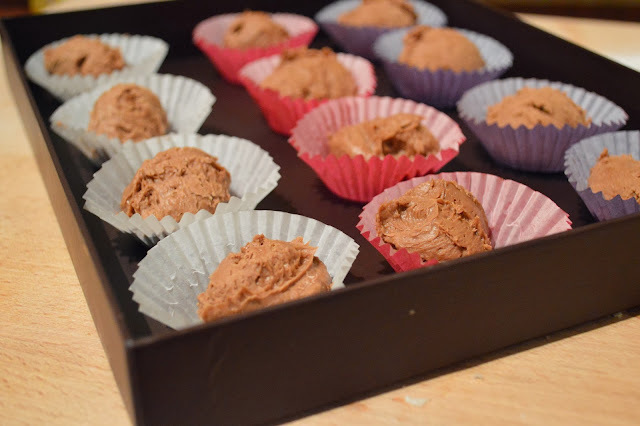 into three parts and flavored the chocolates mint, rum and almond flavored. 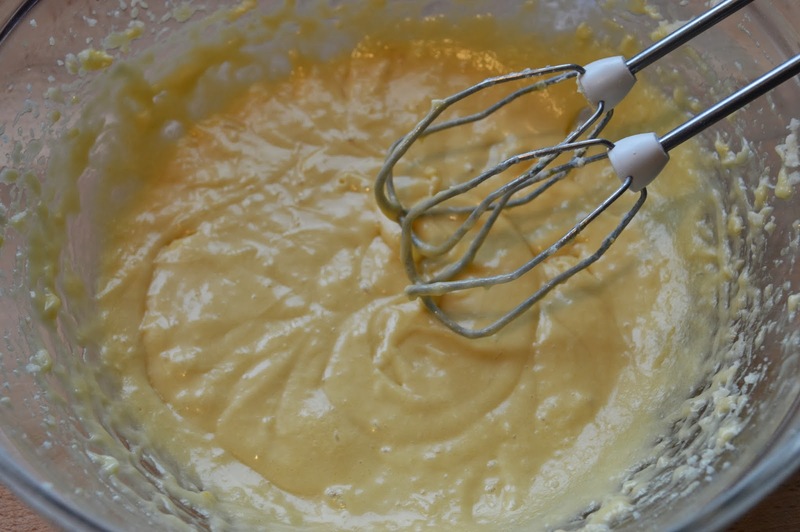 In any case, divide the batter (??) into bowls, depending on which flavors you'd like, and add a few drops of extract to each bowl accordingly. (I recommend tasting to make sure you've added enough). Now we take the yumminess and scoop it out into teeny-weeny baking cups. My wise grandma used different colored baking cups to differentiate between flavors. 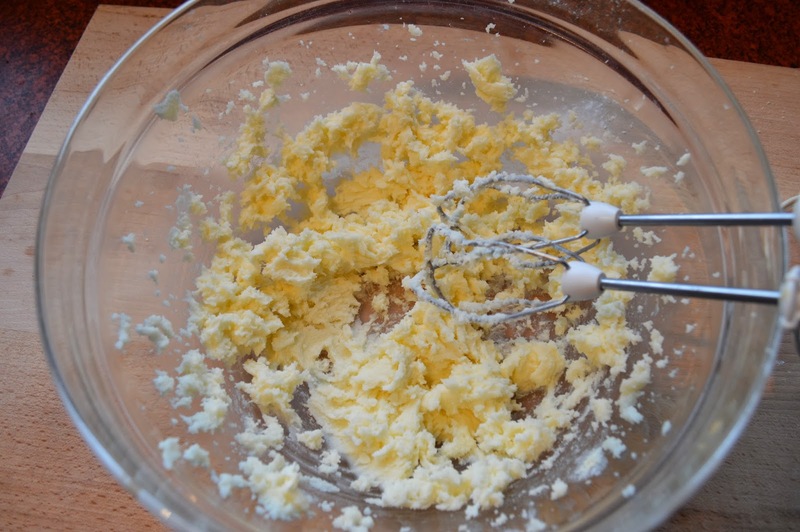 IF your batter (really! what do you call it!!) seems too soft to scoop, throw it in the fridge for several minutes. 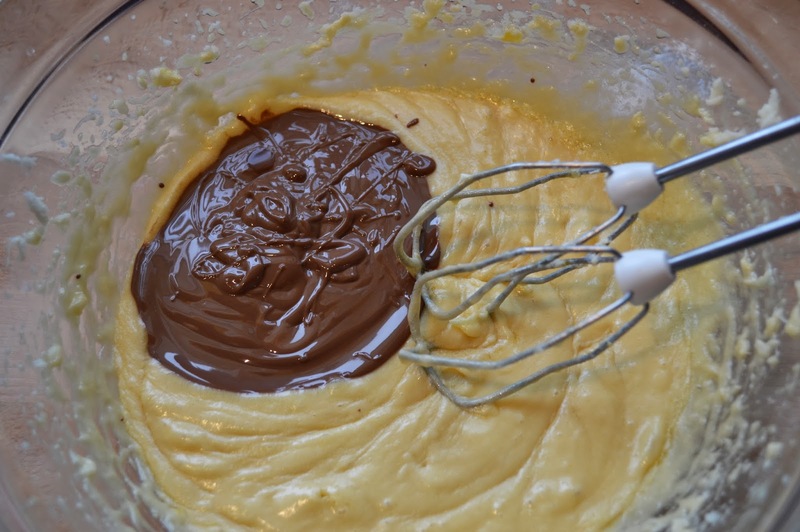 The butter and the chocolate will both harden as the mixture cools. Not too long, though, you don't want to have to chisel it out or anything. And there you have it. A lovely addition to a cookie tray. Or just lock yourself in the pantry with a tall glass of milk and a plate of these scrumptious bites. Beat butter and powdered sugar. 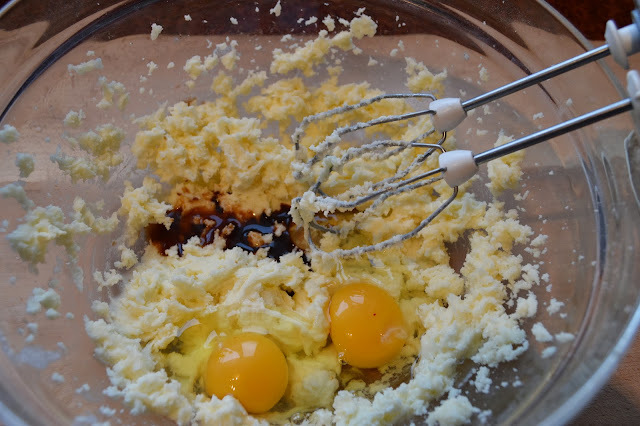 Add eggs and vanilla, beat again. Melt chocolate in a double boiler, add to butter mixture. Mix thoroughly. Divide mixture into bowls, according to how many flavors you are making. Add a few drops extract to each bowl to taste. 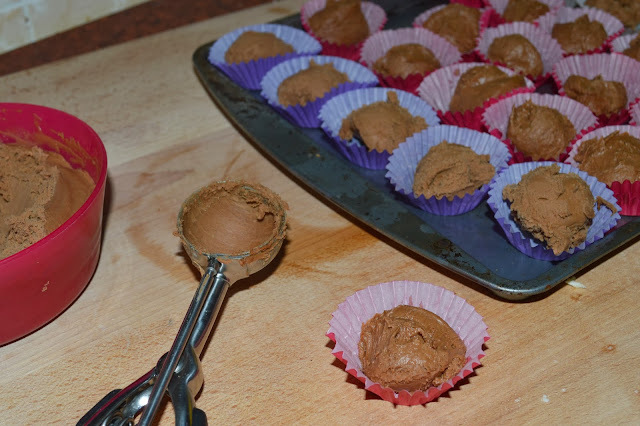 Scoop teaspoons of the mixture into miniature baking cups (put the mixture into the fridge a few minutes if too soft to scoop). *Tip: use different colored baking cups to indicate different flavors. Store in airtight container in freezer. Thaw to serve.